Hurlingham House new West Wing. 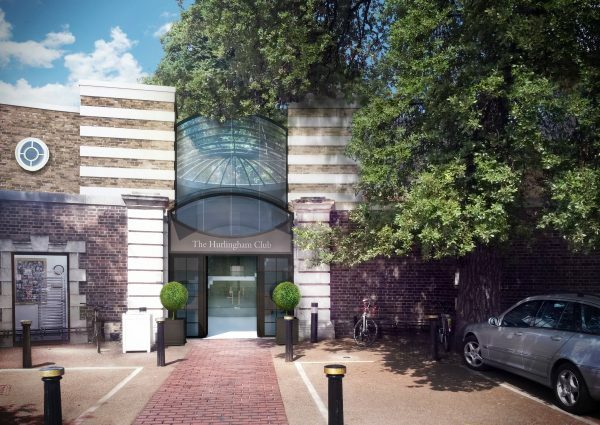 4D Studio have prepared these designs for a discussion group of members of the Hurlingham Club. To avoid any risk of confusion I would stress that we are not commissioned by the Hurlingham Club itself and have not been involved with the club’s own current advanced proposals that have planning consent. We are, as requested by a group of members, considering what alternative there may be to the Club’s ‘approved’ scheme. 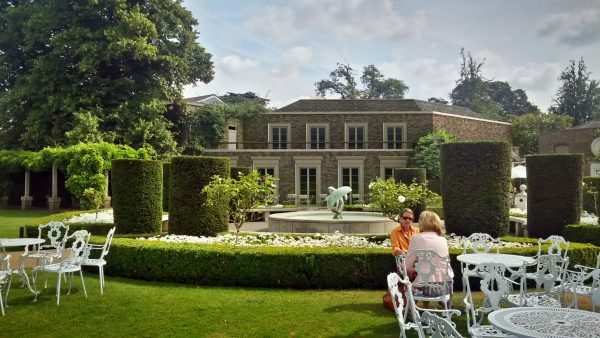 Our starting point is that Hurlingham House, built in 1706 is still essentially a beautiful old house set in a lovely garden and that whatever is built on the site of the existing West Wing must respect and respond to this. The garden itself was originally designed by Humphrey Repton and later added to and altered by Capability Brown. The original house has been much altered and in 1906 Sir Edwin Lutyens designed improvements to the house and grounds. As requested by the West Wing Discussion Group 4D Studio have prepared these alternative design concepts for a new west wing that can be built while the existing swimming pool that is part of the wing is, but for a short period, retained and remains in use. 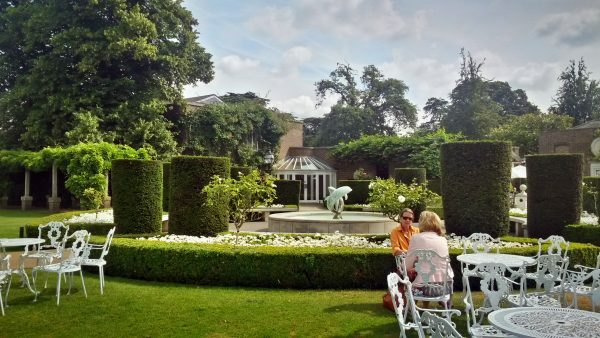 Hurlingham House is an oasis of tranquility in busy west London and that this is essentially due to its harmonious relationship with its luxuriant garden setting. Our mission is to design alternative new west wing that is entirely in keeping with the original house while providing the new and improved facilities required to achieve that with a contemporary building within the design ethos of a country mansion. It must also be laid out to ensure that it allows for the retention of the wonderful existing wisteria avenue and the impressive lime trees. 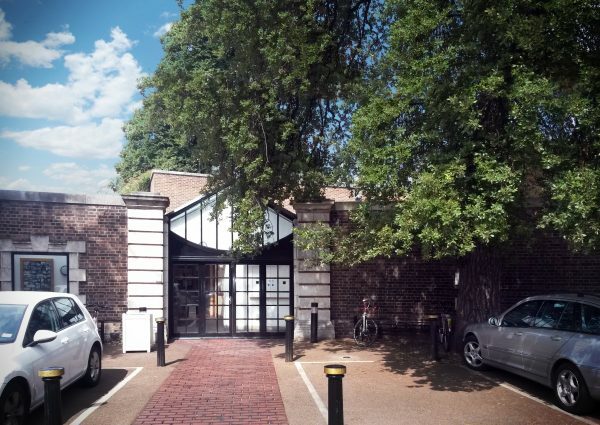 The photo montages that accompany this text show ‘before’ and ‘after views of alternative key facades and I hope you will agree they are entirely in keeping with Hurlingham House. Our current alternative proposals, one with another indoor pool (A), the other (B) without do not cause the indoor pool to close for 2 years and the area they provide either matches or exceeds the facilities provided in the consented scheme. The area of Hurlingham can be traced back to around 700 when it was part of the estate belonging to the Bishops of London, whose summer residence was at the nearby Bishops Palace. The Palace served as a Bishop’s residence for over 12 centuries. Their Manor of Fulham covered the whole of what is now Hammersmith and Fulham, Ealing, Acton and Finchley. The area of Hurlingham remained open fields until the 17th century it was chosen as the location for an isolation hospital for plague sufferers – the lake is situated where the plague pit was. In 1760 Dr William Cadogan chose Hurlingham Field to build a ‘cottage’ and a new front was built onto it in the early 1800s. This had a grand neo-Classical facade designed by by George Byfield for John Ellis. Additional alterations took place in subsequent years including those designed by architect Sir Edwin Lutyens, in 1906. Hurlingham House was a private home until it became the Hurlingham Club in 1869. It’s first sport was pigeon shooting, and polo was introduced 1874. 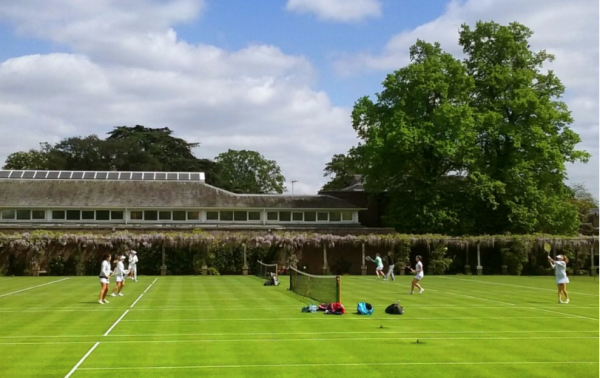 Various other sports have been enjoyed at Hurlingham, including golf, tennis, croquet, archery, and ballooning.